Tillandsia ‘Silver and Rose’ by D Butcher 9/2009. Plant obtained from Rolly Reilly in 1990 and flowered for the first time in 2009 in Adelaide. 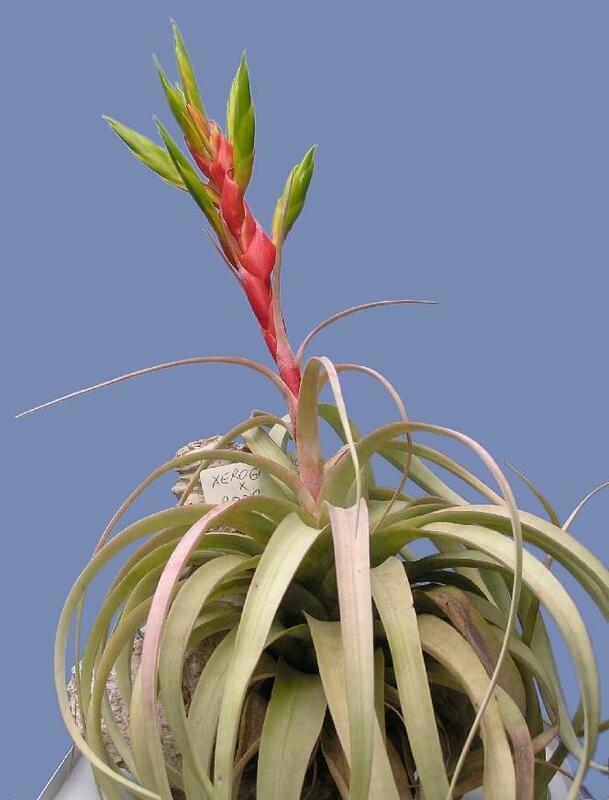 The parents were quoted as T. xerographica x T. concolor. From the inflorescence this seems close to being correct but it just had to start its inflorescence in Winter which could be one of the reasons why the flowers did not open. 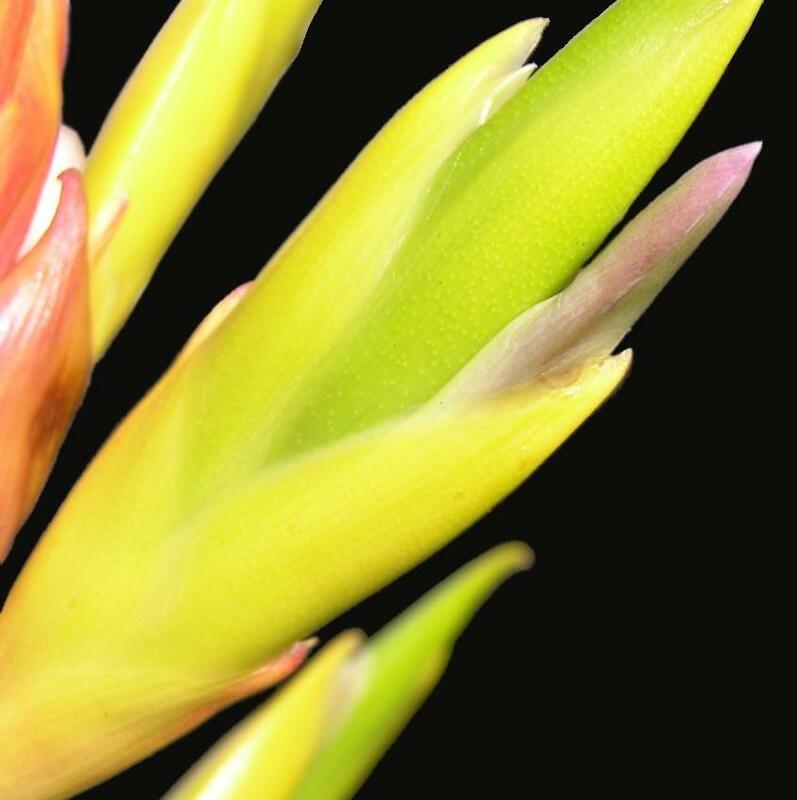 The plant itself looks very similar to the species T. xerographica. 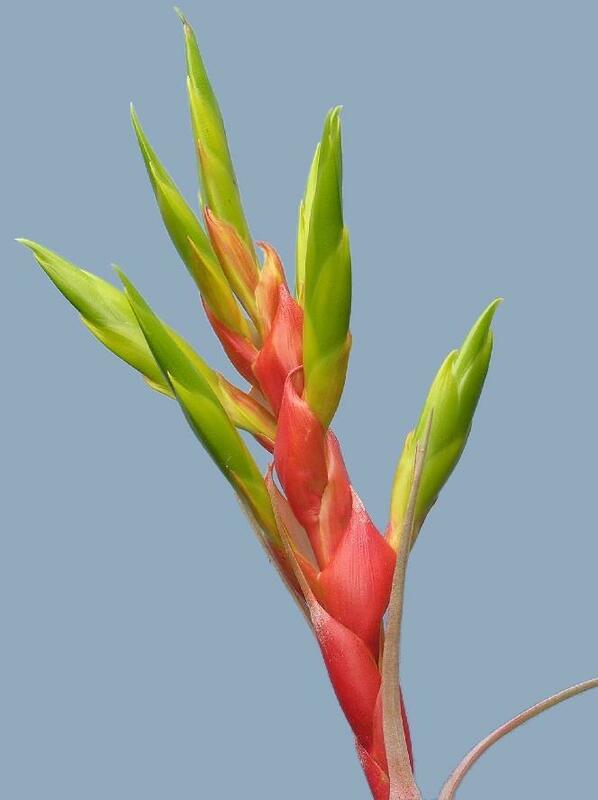 Plant 25cm diam., flowering to 35cm high. Many of the plants from this grex must have been distributed in 1990 or there-abouts at least in Queensland but none have been reported having flowered. 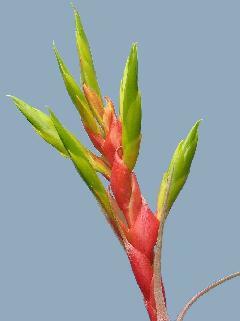 It is possible that this plant could well have been grown under the species name T. xerographica. Photos are enclosed to show what this F1 hybrid looks like.